We’ve all seen the cockpit scenes (military or commerecial—you pick) where the pilot is screaming “May day, May day). Is it a quirk that all these disaster flicks take place on the first day of May? 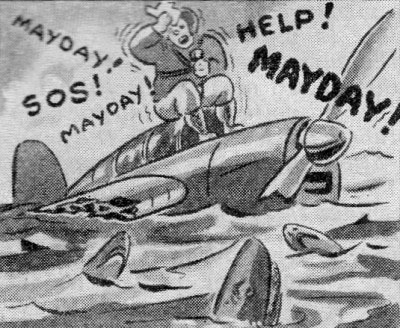 Oh, silly, that’s not true but the following fact is accurate in that Mayday as a cry for help was originated in 1923, by Frederick Stanley Mockford (1897–1962). A senior radio officer at Croydon Airport in London, Mockford was asked to think of a word that would indicate distress and would easily be understood by all pilots and ground staff in an emergency. Since much of the traffic at the time was between Croydon and Le Bourget Airport in Paris, he proposed the word "Mayday" from the French "m'aider", a shortened version of "venez m'aider" (meaning "come and help me"). While we’re at it what’s SOS all about? SOS is the International Morse code distress signal (dot,dot,dot,dash,dash,dash,dot,dot,dot). The SOS distress signal is a continuous sequence of three dits, three dahs, and three dits, all run together without letter spacing. In International Morse Code, three dits form the letter S, and three dahs make the letter O, so "SOS" became an easy way to remember the order of the dits and dahs. This distress signal was first adopted by the German government in radio regulations effective April 1, 1905, and became the worldwide standard under the second International Radiotelegraphic Convention, which was signed on November 3, 1906, and became effective on July 1, 1908. SOS remained the maritime radio distress signal until 1999, when it was replaced by the Global Maritime Distress and Safety System. SOS is still recognized as a visual distress signal. 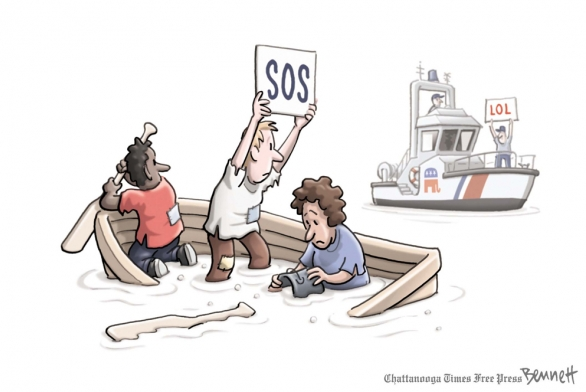 In popular usage, SOS became associated with such phrases as "Save Our Ship" or "Send Out Succour" or "Save our Souls". SOS is only one of several ways that the combination could have been written; VTB, for example, would produce exactly the same sound, but SOS was chosen to describe this combination. SOS is the only nine-element signal in Morse code, making it more easily recognizable, as no other symbol uses more than eight elements.